In the southern Chinese city of Shenzhen, water demand is expected to outstrip supply by 2020. 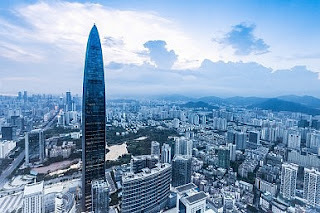 The Diplomat 16 September 2015: Shenzhen sits in subtropical south China, where four-fifths of the country’s water resources flow. The monsoon brings heavy rains from April to September; at its peak, Shenzhen’s more than 7 million residents see pouring rain almost every day. So why is this city facing a serious water shortage? Statistics from the government show that Shenzhen is among the top 10 most water-scarce cities in China, with per capita water resources one-twelfth of the national average. Residents had less than 160 cubic meters of water available per person in 2010, significantly lower than the United Nations’ definition of...read on.